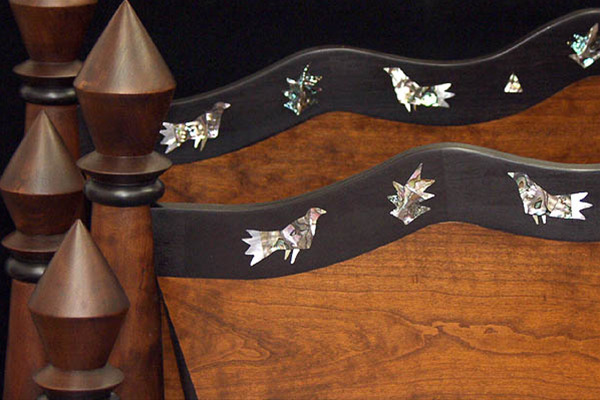 Custom figured cherry beds with abalone, mother-of-pearl, ebony and black painted details. Custom woods and other inlays available. Extraordinary detail work, sparkling color in the abalone and mother of pearl. Each inlay is one of a kind due to the vagaries of the patterns in the pearl itself.